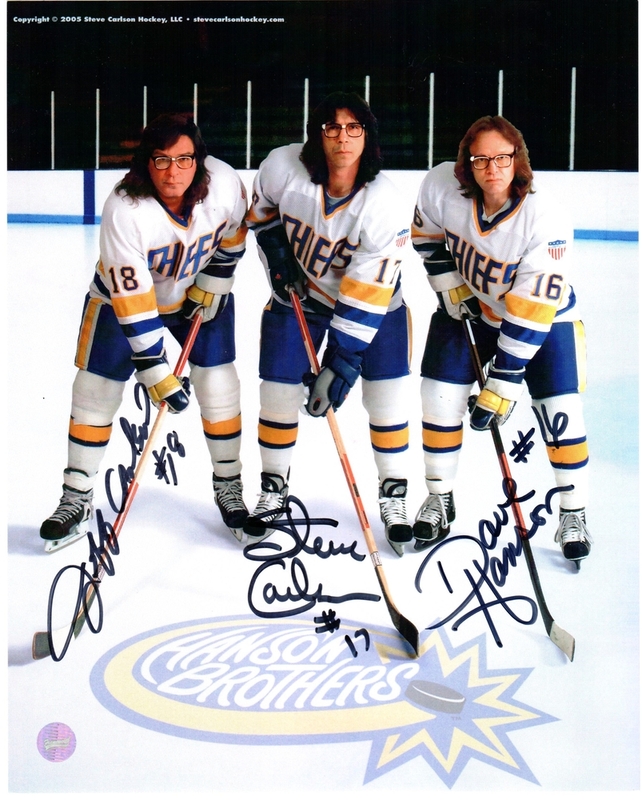 This 8x10 photo features the Hanson brothers, unforgettable characters from 1977 cult movie classic Slapshot. The photo was signed by the actors who immortalized the fearsome Charleston Chiefs hockey players and in the film: Steve Carlson, David Hanson, and Jeff Carlson. A great collector's item for any fan of the film or pop culture aficionado.